Myanmar (Burma), Thailand, India, Sri Lanka (Ceylon), Tanzania, Afghanistan, Australia, Brazil, Cambodia, Malagasy Republic, Malawi, Pakistan, Zimbabwe (Rhodesia), United States (Montana, North Carolina). Situtated between the golden sapphire and padparadscha in color, these sapphires are becoming very popular. Can be confused with Mexican fire opal, or orange citrine. Orange sapphire is always heat treated to produce, intensify or lighten color and/or improve color uniformity and appearance. Orange sapphire is occasionally irradiated to provide temporary intense yellow or orange color. 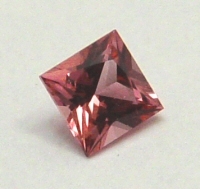 Orange Sapphire is a member of the Sapphire gemstone family.